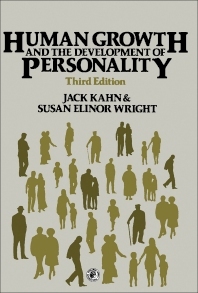 Human Growth and the Development of Personality, Third Edition presents a well-informed account of human growth in which the maturation of the body plays a significant role. This book provides an invaluable foundation for the understanding of all the vagaries of normal human development. Organized into 20 chapters, this edition begins with an overview of the scientific basis for provision of human needs. This text then presents a scientific study of personality. Other chapters consider the developmental stages of an individual. The final chapter deals with the ever-present burden on public services of old people, including many who are living in financial deprivation, deplorable residential accommodation, and in conflict with members of family or close neighbors. This book is a valuable resource for readers who are confronted by perplexed or anxious patients, clients, or parents, to help them recognized their problems more clearly and so to offer them informed guidance.